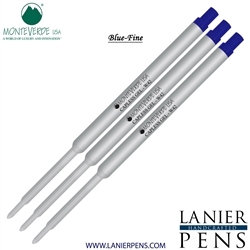 Established in 1999, Monteverde has always been at the for-front of pen refill technology introducing new styles and unimagined colors. 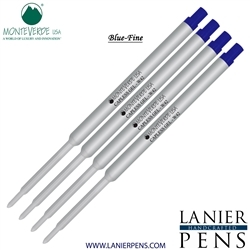 They have created unprecedented designs and technologically advanced innovations in pen refills and inks. This strong commitment to new quality products had enabled the Monteverde brand to be strong in the USA and because of this we are very proud to offer a great selection of Monteverde pen refills. 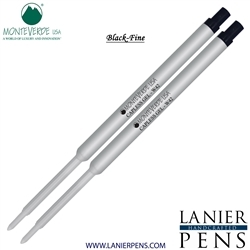 Monteverde is known for their high quality pens refills designed for all major brands of pens. They specialize is making pen refills for Cross Pens, Pelikan Pens, Montblanc Pens, Sheaffer Pens and Waterman Pens. 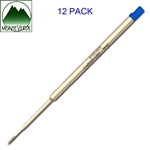 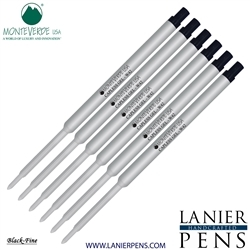 Lanier Pens is your source for all Montverde Pen refills including the popular Monteverde Waterman ballpoint refill to fit Waterman and Sailor ballpoint Pens.